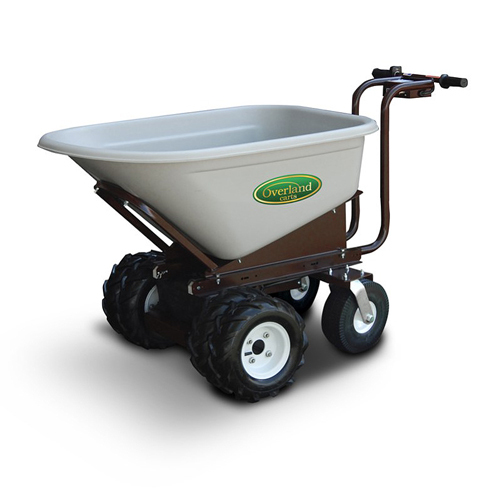 The Overland 8 Cubic Ft. Electric Wheelbarrow ships to you completely assembled, so you can put it to use the first day it arrives! 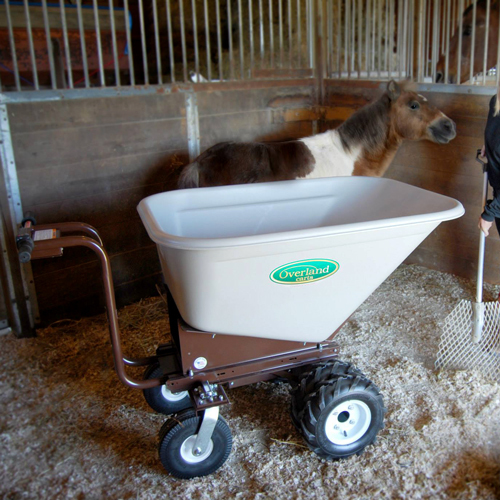 When using your Overland electric wheelbarrow, you can rest assured that safety is put first. 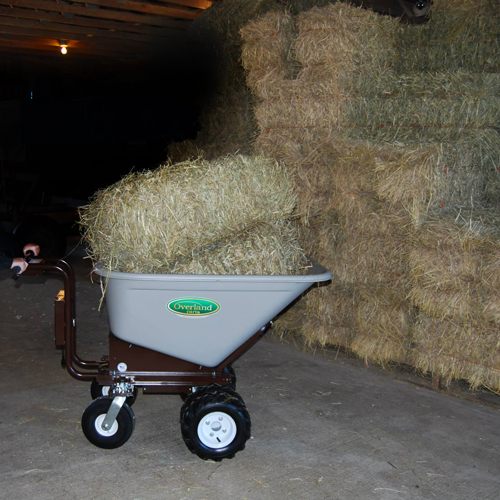 When you let go of the handles, the wheelbarrow will come to a complete stop. 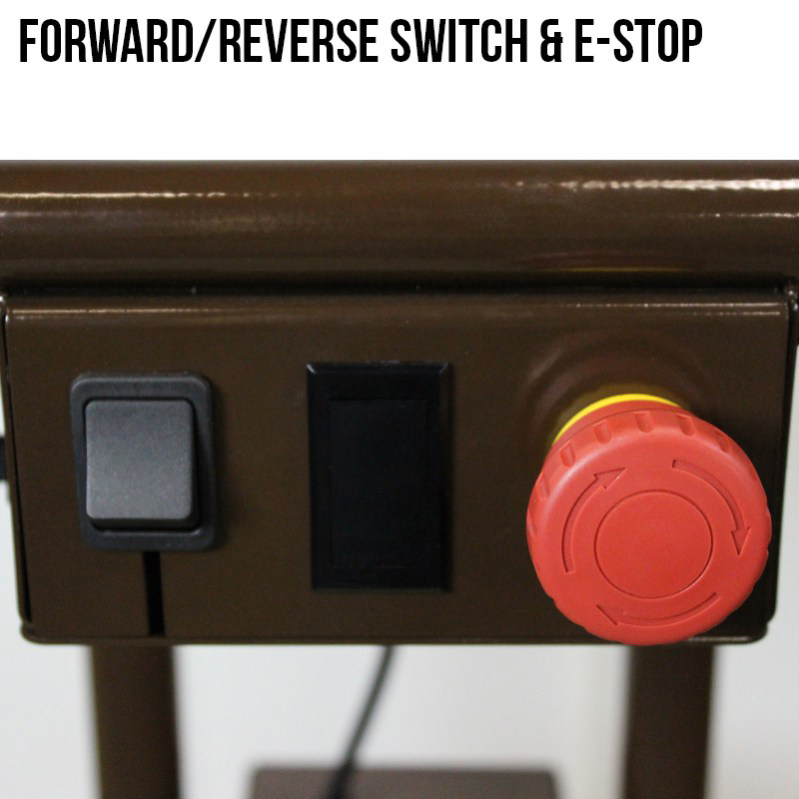 There is also another safety feature that will lock the wheels when it is turned off so it will stay in place, as well as an emergency stop button. 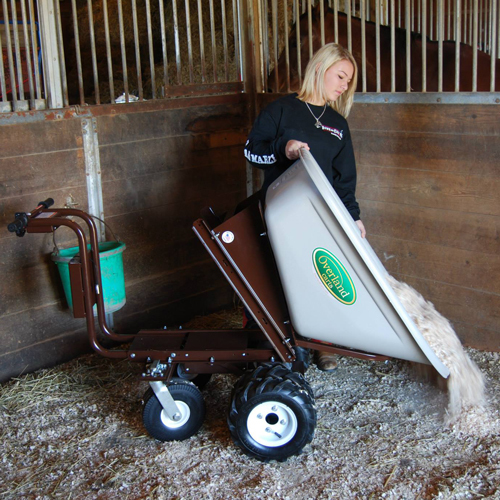 At the heart of every Overland electric wheelbarrow is the drive system. Built with premium performance in mind, all the components worth together to create a unique user experience. 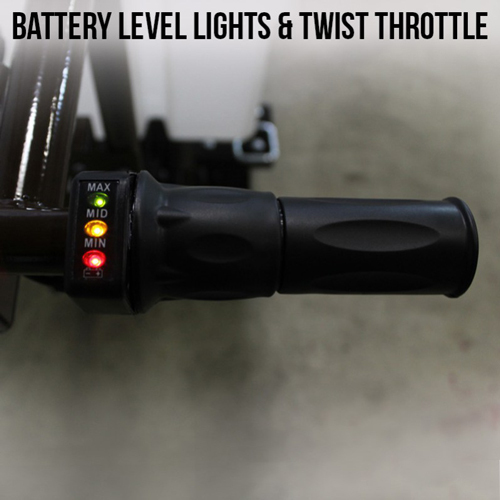 The electric motor produces instant power at the twist of the throttle. The use of Smooth-Start Technology helps to get that power to the wheels by gradually increasing the speed. Electric motors are known for their excellent torque ratings and this electric motor is no different. Plenty of front-end power-packed by a differential capable of handling it all. The standard NiMH batteries provide plenty of power to the motor and are fully rechargeable. 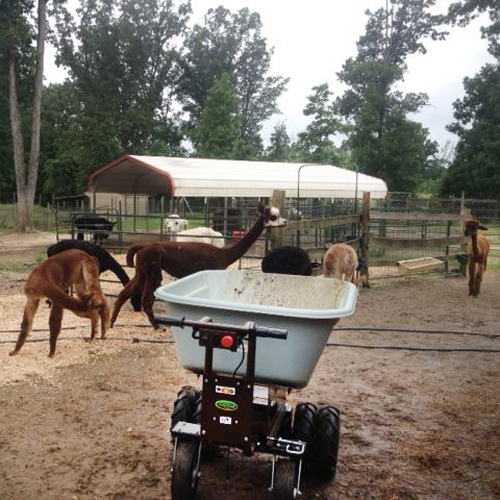 This entire system comes together to handle up to 750 lbs on flat land. 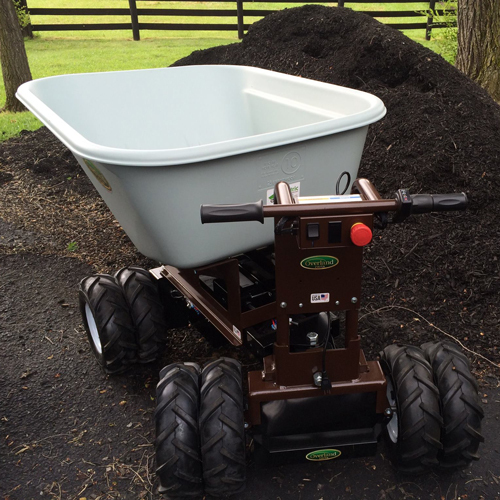 It is also capable of taking 500 lbs up a 3:1-grade hill. 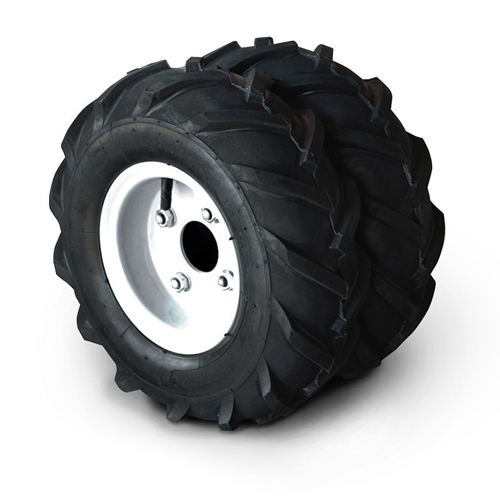 These are the best performing tire and most popular tire. 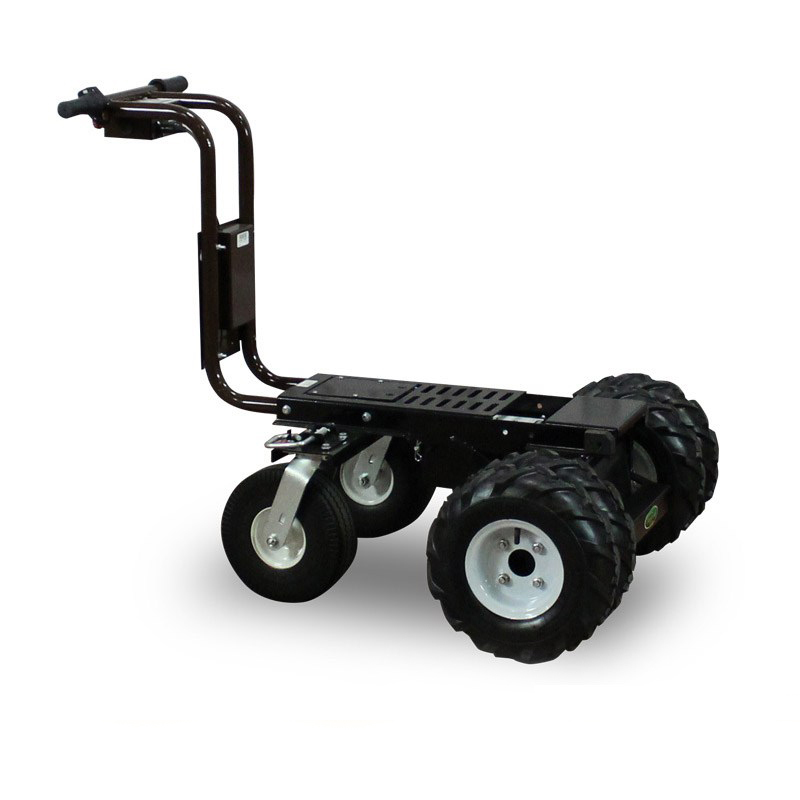 It works well for all applications, especially where maximum traction is desired. 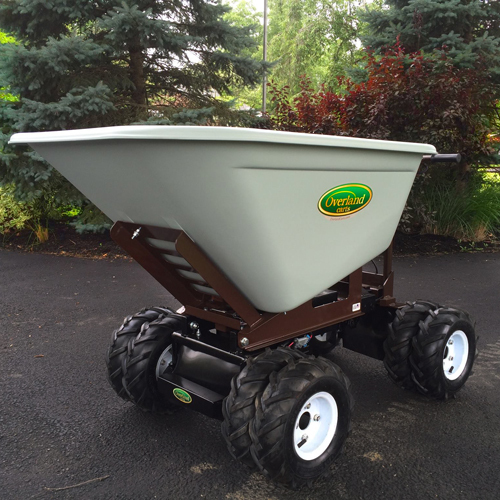 The cart width without bucket is 33″ from tire edge to tire edge. 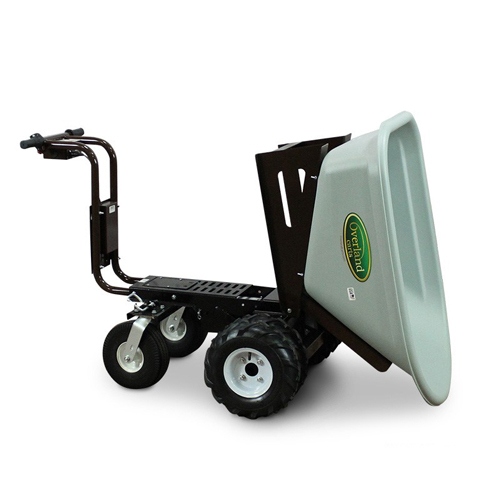 **You can upgrade to an electric wheelbarrow with the power dump option for an additional $600. Storage Space: 8 Cubic Ft. Shipping: Shipping is included. This item must ship on a semi-truck via an LTL freight company. You may add a liftgate service for $80.